This white paper explores how to plan for your school’s Wi-Fi future. 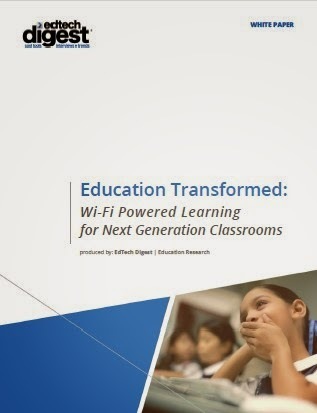 "Schools everywhere are recognizing this truth: next generation classrooms will require next generation Wi-Fi." The challenges are complex, demanding, and very real. Budgets are tight and school districts face cost/benefit decisions that will, quite literally, tax every community to find affordable and truly effective systems. The proliferation of devices that will be demanding Wi-Fi connection is staggering. Laptops, iPads, smart phones, e-readers, printers – the list goes on. Anytime/anywhere learning is no longer a lofty vision of 21st century educators: it is a requirement if students are to be transformed into 21st century learners.